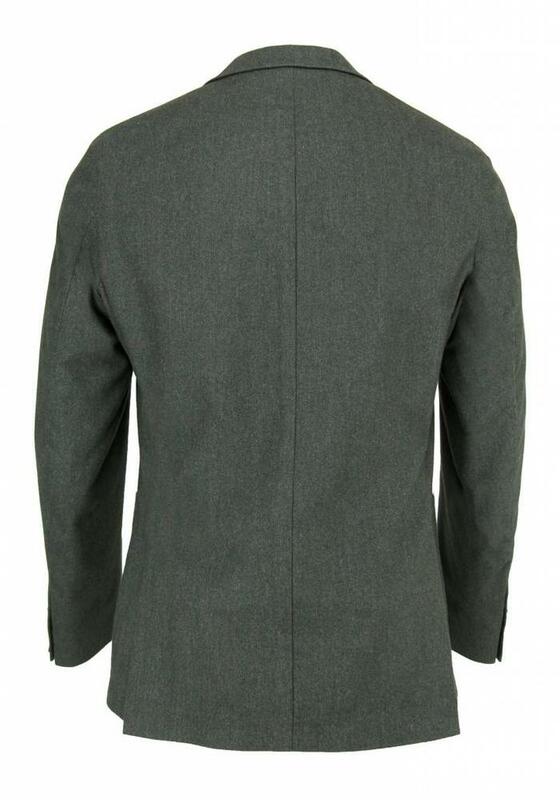 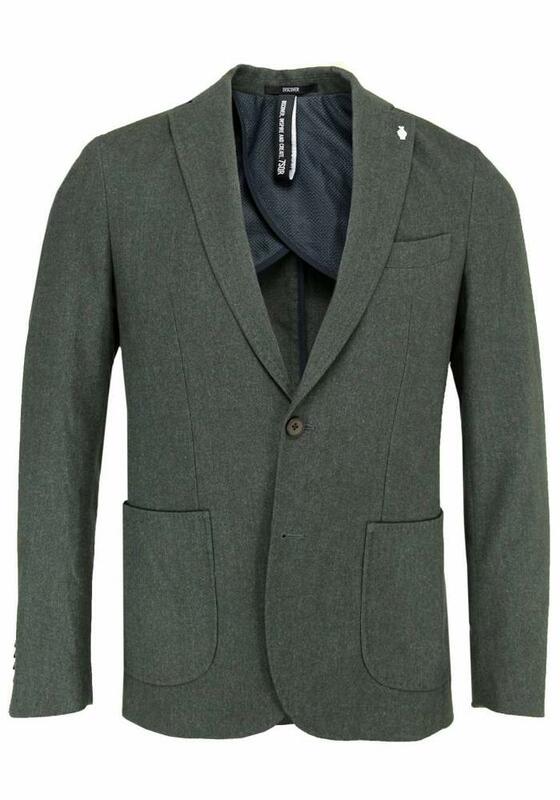 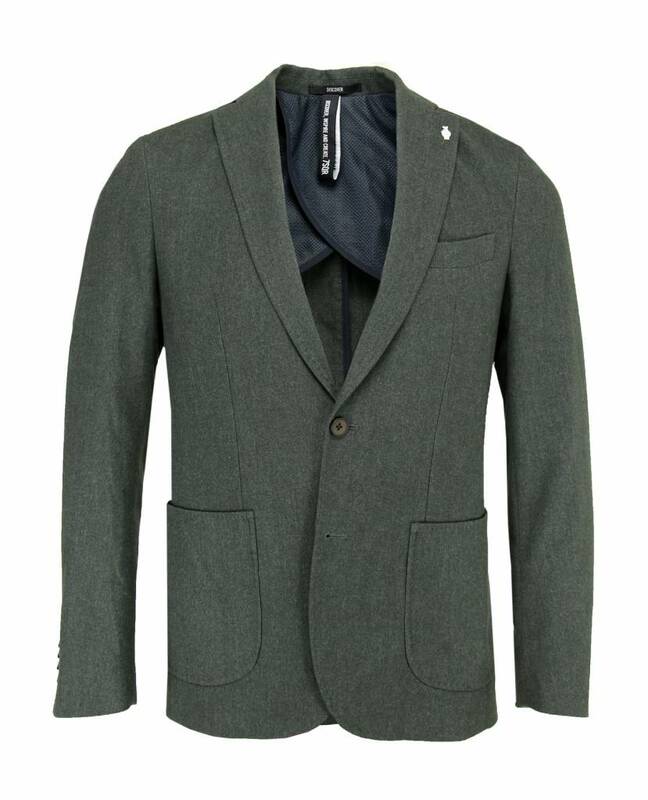 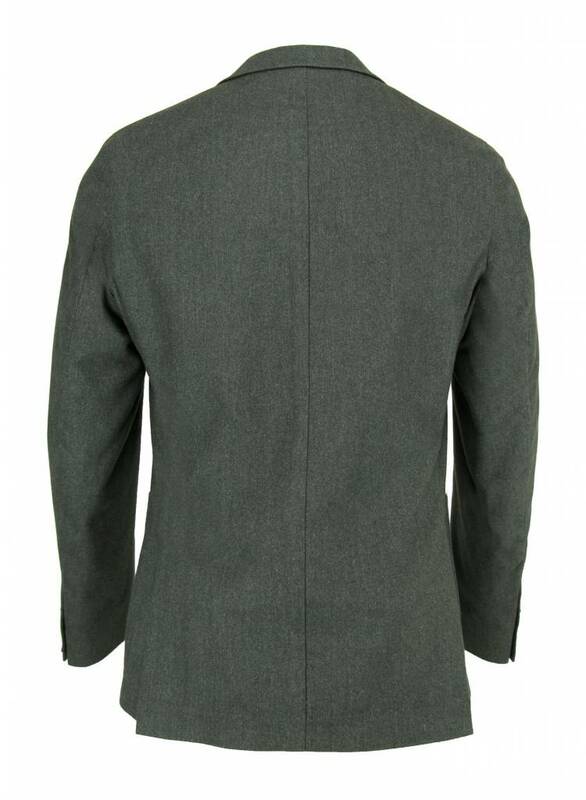 This sporty blazer from 7 Square / 7SQR has a nice grey-green color with herringbone pattern. 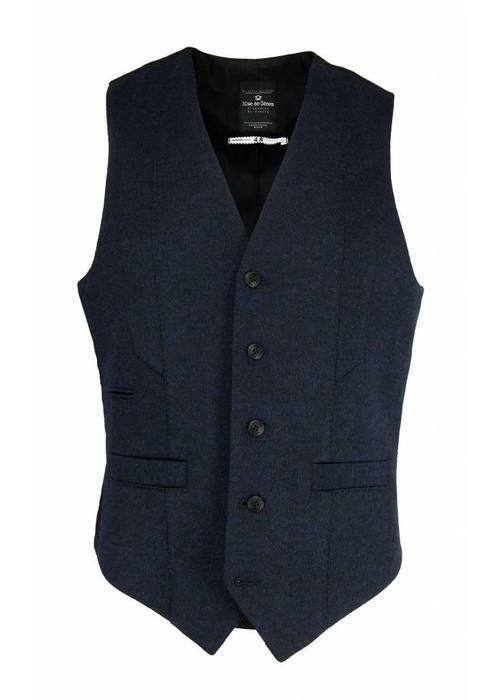 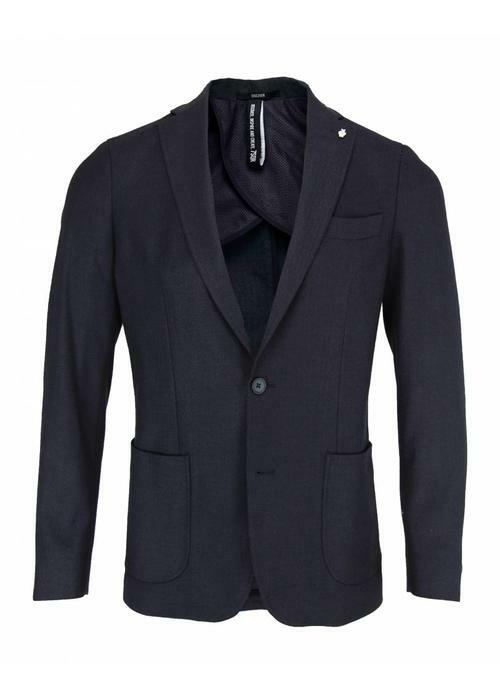 The blazer is sporty thanks to the wide peak lapels and the large side pockets. 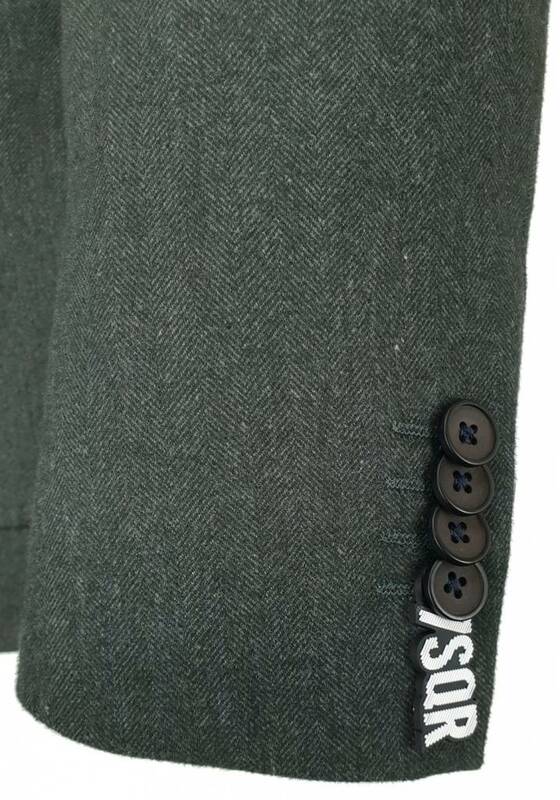 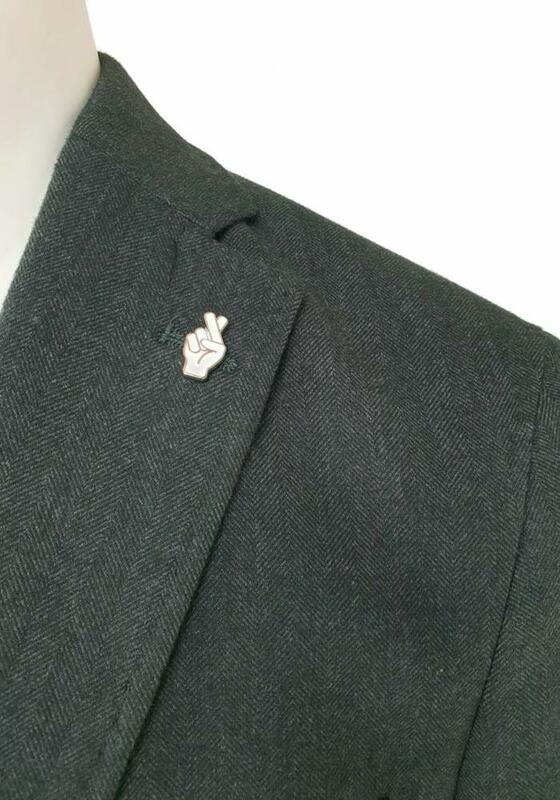 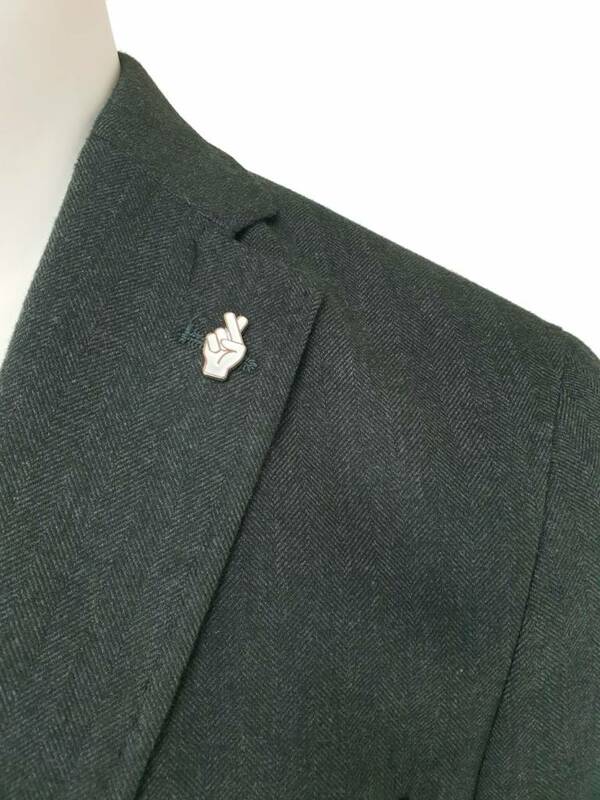 On the left chest is another pocket, just like on the inside of the jacket.